Now in full colour, this is the second edition of this highly acclaimed book. Woodland Management is essential reading for anyone with an interest in trees and woodlands, whether they simply enjoy walking in the woods, are considering buying woodland, or wish to gain a greater understanding of the history and management of Britain's woodland. 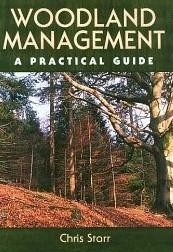 Woodland Management begins with a look at how our woodlands have developed and a discussion of the different types of woodland, and then explores, in a non-technical way, all aspects of management.